If you're still scratching your head, you may recognize their hit "Best Friend" from the end of last year's iPhone X commercial. 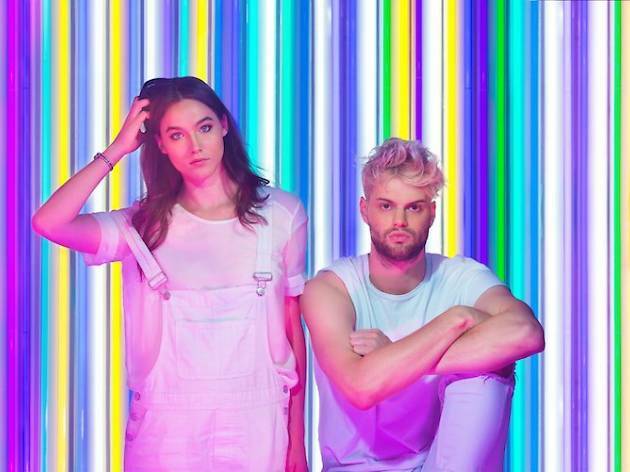 Sofi Tukker, known for the charisma they bring to the stage, has already been crowned as the hot name of 2018. Their first EP, Soft Animals, was released by Sophie Hawley-Weld and Tucker Halpern in 2016. It includes, among others, the songs "Drinkee" and "Matadora" – the former was nominated for a Grammy last year. The two, who met at an art exhibition in Rhode Island, will release their next anticipated studio album titled Treehouse next month. Don't miss this roof raising performance.